It's hard to believe but this blog is now nine years old. Over 3900 posts (okay some are reposts). I began by writing something new every day to help build an audience and somehow kept doing it. The amazing thing is that I didn't run out of things to talk about eight years ago. Well first off I think of this as stretching exercises for a writer. My posts are never that long. I don't want to write all day and you sure don't want to read all day. But it keeps my mind active. It's a nice chance to Pay It Forward. I've been very lucky in my career and had awesome mentors along the way like Larry Gelbart, James Brooks, the Charles Brothers, Gene Reynolds, etc. The least I can do is share some of this largesse with today's young writers. I get to plug my play, books, and whatever other ridiculous enterprise I'm hawking. I can write whatever the hell I want and never get network notes. I've made a lot of great new friends through the blog. Every so often someone really cool like Aaron Sorkin or David Hyde Pierce agrees to be a guest blogger. And who doesn't want a venue to rant over things that piss you off? Still, it is time consuming, and I'll be honest, there are times it's a burden. Coming up with interesting enough topics is sometimes very difficult. I can''t tee off on 2 BROKE GIRLS every day. But for the most part it's been rewarding. How long will I continue? I don't know. I'm surprised I've been doing it this long. I mean, nine years? Jesus. I'm crossing into "get a life" country. However, for the moment I shall continue polluting cyberspace on a daily basis. On this occasion I turn to you guys. I do this from time to time. I'd love to hear from you -- especially you new readers. Where are you from? How long have you been reading? How did you originally find my site? How old are you (or at least in what demographic)? What topics do you like or dislike? And anything else you want to get off your chest. Thanks for hanging in for nine years. You're the reason I still do it. Well, that and I'm sometimes bored. But mostly you. Congrats, Ken. Been a faithful reader for about 5 of those 9 years -- and it continues to boggle me how you come up with a topic to write about every day(and write books and plays in the process!) If I put myself in your position, I would have run out of things to say after about a month and a half. How did you originally find my site? Searching for info and photos of Al Rosen. How old are you (or at least in what demographic)? What topics do you like or dislike? Movie reviews (would love to know what you think of Interstellar or Nightcrawler), Snark Tank, hilarious anecdotes about assholes you've encountered in your career, comments on pop culture and news events and what your version of various shows would be like - please do one of what your version of Homeland would be like. And anything else you want to get off your chest. I tried Frank's Red Hot Sauce last night for the first time. Maaan that stuff is good! Hey Ken, congratulations on 9 years of blogging! That's quite an achievement. I too have been blogging for 9 years at blog.traingeek.ca. I live in Winnipeg, Manitoba in wintry Canada. I've been reading your blog since the first year and I really enjoy your sharp wit and incisive commentary on the industry. Here's to the next 9 years! Because of the aforementioned acting thing, I love reading the 'behind the scenes' stuff of Hollywood, which is one of the reasons I like your blog. The other reason is that I am a writer, of sorts, so I like hearing your take on the writing life. I cannot remember how I found this blog but I read it faithfully every day. By the way, I still want you to write a sequel to your Me Generation book because I want to know things like how you met your wife and your early days as a professional writer. I've been reading for awhile, I think I found you after Time magazine mentioned your site. I am a 43 year old TV and baseball geek so just about everything you write is right up my alley. I am always up for more baseball stuff! I'm 35, from Florida (yeah, yeah, I know) and I have no idea how I found your blog but I've been reading it for years. I particularly enjoy your stories about starting out - and about other writers starting out - because a couple years ago I began a career as a freelance illustrator and cartoonist, and sometimes I worry that either I'm too old or I'm not getting successful enough fast enough... so it is informative and comforting to read about what it took for other aspiring creators to break into their fields. Also, your advice on writing and on working with a partner, in general, is helpful as a comic book artist (and occasional writer). The behind the scenes stuff.... that's good too! 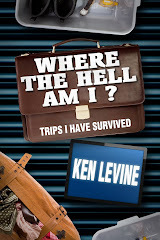 Ken, I've been following your blog ever since "The me Generation" came out (available here). I found you through Evanier's blog. I'm amazed that you've been able to hit the post at 6:00 AM every day for 9 years with a new blog entry. Must be the DJ training. I've been reading your blog daily for 4 or 5 years. I most enjoy when you do a blog with random ravings. I agree with you a lot of the time. Keep on blogging. Glad you plan on continuing the blog. I enjoy the baseball stuff almost as much as the inside stuff. I was one of 11,000+ people on a Facebook group that was set up when Aaron Sorkin was writing The Social Network. Heard of your blog there and that was 'deleted' about 7 years ago. Thank you for this. It is one of my first stops every morning. Been here since probably middle of year 1. Depressing to think this blog is not forever. Congratulations, Ken! I've been reading since around '08 or '09 perhaps (memory starts to get a little fuzzy). I first became aware of your blog via Mark Evanier. I'm 34 and live outside D.C. I've enjoyed posts about your writing process and stories from behind the scenes of some of my favorite shows ("Room Service" being one of my favorite episodes of "Frasier"). Also your humorous awards show posts had me laughing. Your commentary on the state of network tv and movies (along with various reviews) has been insightful and though there have been times I've disagreed (not many times but then again there's no one I agree 100% of the time with) they've never come across as invective, ad hominem drivel(which can't be said for certain other sites). Looking forward to another 9 years and more! I've been reading for about three years and really enjoy it! Can't remember how I found it -- which is frustrating, because I hate it when people can't tell me the same thing about my own blog. ;-) I'm 41, a married mom of 4, work full-time outside the home and have a blog of my own. I live in Birmingham, Ala., and I love your posts about the entertainment industry in general ... I enjoy your take on current topics and those posts that touch on subjects from the '60s and '70s, as well. Thanks for sharing with us! I'm probably your only reader in Port Lavaca, Texas. Been checking in for at least five years or so. Your background (Hollywood, baseball, radio) is somewhat different than mine (chemical plants, helicopter repair, high school football) so I enjoy the change of pace. I'm in that demographic sweet spot right now ---three kids still at home in high school and parents/in-laws still vibrant and healthy --- but change is coming. Empty nest is looming and all four grandparents will enter their 80's in the next few years. I'll continue to look forward to your work in the years to come. Love this blog, bloggers are subject to burn out. Please keep it going, because even when you don't see my comments, I'm still reading it. I've been reading for a few years now and can't remember how I found it, either. But I'm a big fan of your work and a big fan of the entertainment process and the business side of it. I look forward to your posts each day, irrespective of the content, though I'm partial to the Friday questions and when you talk about baseball. I admire your commitment to your business and just wish, actually, that the blog had to go on hiatus because you've become a showrunner on a wildly successful sitcom that's actually worth watching! Been a faithful reader for 4 years or so. Read many old posts too. Found your blog when I was looking for a comedy writer's fantasy camp experience. Attended the 2012 Writer's Room and highly recommend it to others. 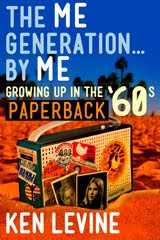 Also thanks for signing my copy of "The Me Generation" there and providing the Hostess cupcakes since it was my birthday! Old enough to remember watching M*A*S*H when it originally aired. All your topics are interesting. I'm a sitcom writer's nerd. Even as a kid I would watch the credits to see who the writers were. You and David were writers of so many of my favorite programs that it was a huge life milestone to meet you both and actually see you laugh at something I wrote. Baseball and radio were big in my teenage years in the 70's so I connect with all your posts. I'll be a blog reader as long as you keep posting. Have been lurking here for years, from Portland, Oregon. Just turned 63 - always enjoy show-biz anecdotes. I respect people who know the filmographies of all three Keatons (Diane, Michael, AND Buster). As an added plus, it's a thrill to know a Levine who pronounces it correctly. Ken, I've been reading you most of the time you've been blogging. I'm a history professor in Las Vegas, where I grew up. Since I plan to write a book on the history of baseball broadcasting, and grew up wanting to be Vin, I think I probably found you looking up your book, which I had read and enjoyed, to see what you were doing now. And I'm glad you're doing this! Been digging this for quite a few years now - I have no idea what first turned me on to this or what link I clicked, but I read a few posts and was hooked. As an aspiring writer I love the behind-the-scenes insights with both industry stories as well as writing tips. Here's to nine more! Congrats on 9! I'm not in the biz, I don't even watch TV anymore hardly, but I keep coming back because this is fun and entertaining. I'll keep coming back as long as you keep producing this! I've been reading the blog for a bit more than a year. My high school screenwriting teacher recommended it to me after I mentioned how much I loved Cheers in class. I can honestly say that reading your blog has helped me to confirm my decision to pursue a career in screenwriting, for which I can't thank you enough. While I definitely value the stories and advice from your career in TV, there is rarely a post that I don't find at least mildly interesting (it helps that I'm also a huge baseball fan), and reading your blog is actually a big part of my morning routine. Congrats, Ken, on the nine years in the blogosphere. Was that even a word nine years ago? I'm 55 and have been reading for about three years. Your blog is among my first stops each morning. Love it when you write about your minor league baseball announcing days and also about the inner workings of M*A*S*H. Keep it up! And maybe when you feel consistently overwhelmed in coming up with something new for each day, you can pull a "Carson" and work only four days a week. My anonymous blog, Second Effort, is about the same age as yours and, while you have a couple of years on me, we are both Baby Boomers. Advertisers think we are both now more susceptible to pitches from Wilfred Brimley than Keira Knightley or Gisele Bundchen. I've followed your blog almost from the start and it is a daily must-read. Really, you and I are very similar: You've broadcast baseball. I watch the games. You've written and directed for television. I've watched television. You update daily -- I update every now and then. And you're consistently funny... while I wish I could be. So, OK, other than that, we're very similar. Thank you for brightening my mornings for lo these many years. I hope you continue to find this 'exercise' worthwhile for years to come. Congratulations on 9 years. Love the blog! Started about three years ago. I think I learned about it from Whitney Mathison's former Pop Culture blog at USA Today. Late 40's here in Atlanta. Grew up on MASH and Cheers watching with my entire family. The movie reviews are great and I like when you go under the hood of a few current shows with ways to improve them. Mostly, I really enjoy the stories about working with some truly gifted people over the last 40 years as well as the schmucks. Also, don't feel bad every once in while throwing in a "vacation/playing hooky" day. I'm sure everyone is like me and do not want to see you get burned out and stop blogging. Finally, you mentioned you are in Atlanta for a few days. If you would like a few restaurant ideas, let me know and I will be happy to help. Been reading you for about seven years. it's been long enough that I forget how I found you. I must say, it's been fun and informative. It might have been Jerry's brother Gordon who told me about you. KXO connections and all. I’m an aspiring sitcom writer from London, England (I may or may not be 30 next year -- I haven’t decided yet). I stumbled upon your blog a few years ago while looking for sitcom writing tips and anecdotes. I struck gold. I particularly enjoy posts about Cheers and Frasier, and am fascinated by excerpts from original scripts. I check in on your blog every day; I even read the baseball related ones. Keep up the fantastic work (as long as you’re enjoying it). Sincerely, Peter Etherington. Found your blog from Time magazine I think? Been reading religiously for about 3 years now. I'm 41, married w/ 2 little kids, living in NJ & working in NYC. Does that fit a "demo"? Love your take on the jerks of Hollywood (Roseanne, etc) TV critiques & movie reviews. Also whenever you go on a random, non-sequitur rant. Like where to find a good hamburger in LA. I started reading your Blog on Day One. How’d I find it? Easy. You sent me an email and said, “Hey, I’m starting a Blog.” You haven’t missed a day since, and neither have I. Me? I’m retired from broadcasting, living in Florida, and honing my geezer skills. (I can now yell, “You kids get off my lawn” in three languages). I’m constantly amazed at the fascinating variety of topics you give us each day. It has to be a staggering workload, but like clockwork, every morning at 6 am, there it is! Thanks for putting in those long hours with zero pay. Ken, seriously -- I hope you know how much we readers truly appreciate what you do. I can't remember exactly when I started reading your blog, but it's been at least five years. I live here in LA, so I was able to go and see your delightful play. When I said hello after the show, I forgot to mention that the Natalie Wood reference made me giggle. Not just because it was funny, but because whether intentional or not, it felt like a nod to those of us who read your blog. I'm in the 50+ demographic, so I no longer matter to the powers that be at the networks or their sponsors, despite the fact that most of what I watch on television (and I watch a lot of television) is on the networks. I enjoy most of the topics you cover except, alas, for most of the baseball-related stories. Sorry, I'm no longer much of a fan of the sport. Please keep writing this blog. It's one of the first things I visit when I go on line, and I really look forward reading it every morning. While I realize that all good things eventually come to an end, I hope that won't happen here for a very long time. I started reading your blog after I was somehow lead to your remembrance piece on the great Dave Niehaus. Being a Mariners fan since that first year in the Dome in 1977, I was familiar with your work as both a baseball announcer, and a screenwriter. As a failed Radio DJ (Overnights in Seattle from 1981-1986)and a huge Seattle sports fan, I always start my day with your blog. Happy 9th blogbirthday from a younger, somewhat distant relative in the blogosphere (my Carole & Co., which turns 7 1/2 in less than a month). A labor of love, isn't it? I finally met Ken earlier this month at "A Or B? ", and discovered he's every bit as genial as I expected him to be. And I admit a bit of gentle jealousy, as he's been in three of the professions I wanted to work in -- top 40 announcer, baseball broadcaster and scriptwriter. And while being the next Dan Ingram or Harry Kalas probably is beyond me now, I'm learning the tools of screenwriting. As a former newspaper writer, I'm fairly facile with words. This seems the appropriate time (RIP Mike) and the appropriate place (just kidding) to see Elaine May present Mike Nichols with an Emmy for total mediocrity. I've been faithfully following your blog for 4 or 5 years. I am from Seattle and miss your presence and wit on the Mariners' broadcasts and have enjoyed following your blog. Congrats, Ken. The best things you do are inform and entertain. And what can be wrong with that? Thanks. 58-year-old white male here, and a daily reader of this blog. It's one of a handful I never skip. as someone whose first distinct understanding of "popular culture" was honed watching CBS's great Saturday night line-up (All in the Family, MASH, Mary Tyler Moore, Bob Newhart, Carol Burnett), the stories and insights you have into older shows always fascinate me. I don't watch a lot of television now, but still enjoy your comments on current shows and practices, as a writer. Friday questions is a don't miss. I'll even go back if I've been offline and missed them. I also remember you fondly from your time as an Orioles broadcaster, so all baseball stories are voraciously read. So, pretty much keep doing what you've been doing and I'm a happy boy. Best wishes. I'm from New Hampshire, have been reading for 7 or 8 years, can't for the life of me remember how I found you (but never left and start my day with you), I'm in my '50s and I enjoy your miscellaneous topics, Friday questions, and rants. Worked at Paramount in the Lucy Building when you were on staff at "Cheers" and if I'd known how awesome you were, I would've introduced myself in the Commissary. Thanks for everything you do -- you make the long off-season for Red Sox fans a little shorter. Came for the Cheers, stayed for the everything, is a shorter version. Found your blog less than a year ago - through Evanier's blog. It's become a must-read every morning. I'm a 50-year-old full-time corporate video producer and part-time freelance sports camera operator. All of your stories interest me. Mostly, because I really enjoy good writing and hearing about the writing process. I see so much absolute crap writing in my full-time job. Your blog is a reminder to me that there is good writing out there, and I need to hold myself to a higher standard. Thank you!! From So Cal, 45 years old. Fell in love with Cheers at 12, thought it was brilliant, then got to college and took broadcasting and English classes--I wanted to be like Glen and Les Charles. That didn't work out but I still love the medium of television and the art of sitcoms in particular. I found your blog about two years ago and look forward to it each day. Friday questions are my favorite. I came to your blog through Mark Evanier's site a couple of years ago (I'm a big Groo fan- have all the comics). I have a claim to fame which leads to a Friday question. I worked as an extra (had a friend in a casting company here where I lived). I have no ambition to become an actor- I just thought it was something interesting to do, it was easy, and I got fed and paid (both poorly). In one scene I did, the camera was behind me as I walked past. This scene made it into the trailer. This trailer was first aired on network TV as the first commercial in the first commercial spot of the finale episode of “Survivor- season 1”, a hugely popular show at the time (not so much now). So my claim to fame is this- over 50 million people saw the back of my head for a split second on TV. My Friday question is this: do you have any stories or anecdotes about etras that you have worked with? I live in Bainbridge Island outside of Seattle WA. I'm in my early 50's and have been reading your blog for about 7 years. I've also purchased your e-books and even a used copy of your baseball announcer biography from many years ago. I love your behind the scenes looks at the industry and writing. I am also one of the minority who love your baseball stories too. Come back to the Mariners! Thanks you for sticking with this for so long. It's a very enjoyable part of my day! I am from Northern Kentucky. Found your blog several years ago from Mark Evanier's site. Love them both, check both every day. They partially inspired me to start my own pop culture blog! I find your life experience fascinating, as well as the behind the scenes anecdotes about shows on which you've worked and the entertainment business in general. 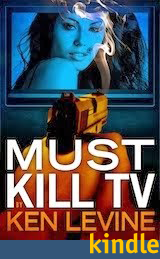 Love the reviews on movies, sitcoms and other TV from an insider's point of view. Thanks for an entertaining read every day. I'm one of your many readers in the German cancer research community. I've been reading this blog since several years and forgot how I ended up here. I'm mostly interested in your TV stories, but as an avid Red Sox fan, I also enjoy your baseball anecdotes. I'm from a small town--Pendleton, Oregon--and discovered this blog about two years ago and have been a regular visitor ever since. I'm 17, an aspiring sitcom writer, and have been able to ask you a few Friday Questions (which was a thrilling experience!). I love all your articles that detail your writing process, advice, lessons, etc., as well as the in-depth looks into the TV industry. I'm also applying to the University of Southern California's Writing for Television and Screen program, currently working on the art supplement and crossing my fingers that I'll be accepted and be able to perhaps attend one of your classes. Thank you so much for keeping this blog. It has helped me so, so much, and gotten me through some rough writing patches. I'm 56. I love baseball. I'm a Canuck in the middle of the bald prairie. I'm functionally deaf, so old shows such as Cheers and Mash are just being watched in the last 10 years with captions. I like to laugh - after reading your blog and telling my wife about it she ran out and got all of Cheers on DVD with captions. I read your blog because I just enjoy your opinion, rants and insights. I've been reading the blog for many years. I did a search one day when you were broadcasting the Mariners games. I was curious how you knew stories from the TV industry that you'd occasionally chat about when the games moved slowly. Frankly, I didn't know your writing 'day job' at all, but just knew you as the sidekick to Dave. I discovered the blog and have been hooked ever since. The topics, insights, and humor that you share are very interesting to me. I hope to keep reading for many years to come. I'm in my 60's, Married, Seattle native. Mark Evanier linked to it on his blog. Anecdotes from your long career are the biggest draw but it's rare that I don't find a post at least a little interesting. You're also refreshingly free from the politicization of g-d damn everything that infests so much of the web. I live in the Maryland suburbs of DC (lots of deer in our neighborhood) and hardly ever get to southern CA - the last two times were in summer 1985 and spring 2001 - so I appreciate learning about it here. For reasons now obscure, I lived in Minneapolis or St. Paul during the entire original run of Cheers; arrived there early September 1982 and moved back east Memorial Day weekend '93. First visited this site around 7 years ago through Alan Sepinwall's blog at the time (when he was at the Newark Star-Ledger, I think - although I'd followed him since he was a Penn student writing NYPD Blue episode analyses). I was born in 1956, so I saw a great deal of 1960s and '70s TV in its original form (the title songs of short-lived shows of the era have stuck with me for some reason - for example The Pruitts of Southampton). I didn't watch a minute of the World Series this year and don't know whether to be ashamed of that. I visit here every day. Thanks for keeping it up. I continue to be in awe of your writing discipline. Very inspiring. Congratulations on a great "run" and keep up the great work. You are the only blog I read consistently. I'm 60+ and live in Sequim,Wa. Never knew your name until you did M's games. Then saw your name on the reruns of Mash,etc. So when I came across your name on twitter I clicked follow and have been coming in here for 4 or 5 years now. Really enjoy the behind the scenes info on all the shows you were connected with. If you do get tired of doing this blog, you could just try do weekly +. Doesn't have to be daily. And thanks for not reading my pitch .. wink,wink. I discovered your blog a year or two ago...probably in a "Frasier"-related Google search. I've been reading daily for about six months. I live in New York and grew up in Detroit. I'm a 47 year old male. Your "behind the scenes, making of" posts are my favorites. I get a vicarious kick from them as I used to fantasize about being a TV Writer. I just recently started reading daily, maybe 6 months ago. I rediscovered your blog after browsing writers from the Cheers list on wikipedia. I just turned 30. I'm not in the industry (humble librarian), I just really enjoyed a lot of those sitcoms growing up and again now, even more so. Cheers writing in particular can catch you off guard and hit you sometimes like a play does when it's done right. I've come to appreciate that as something distinct and special. As far as the blog, it is always neat to gain info and insight on comedy/writing/movies/baseball and to hear about your time in radio/tv and the differences and similarities between how things ran then as opposed to now. Before I starting reading here you were just "that guy who wrote that simpsons episode I taped off of tv and watched a thousand times as a kid". This blog has been equally rewarding. Thanks. Love your blog! I've been reading it for at least 5 years. I don't actually remember how I found it, but it's become a daily read for me. I live in Pennsylvania, and love your behind-the-scenes stories about the writing process. Your era, grew up in Pennsylvania, have lived in New York and L.A.
Amazed at your output, and love the accessibility you provide in your opinions and suggestions, and how "you lay yourself out there emotionally", never afraid to offer a real opinion, regardless of how that may effect you in the business. Also, readers know you read the comments, because often you respond to them. They love that. Thank you very much. I've learned a lot of things here that I never would have learned anywhere else. Wow, 9 years! I had no idea. I've read your blog daily since I discovered it several months ago. I was doing a google search of Cheers, Shelley Long, and Ted Danson. I love it that when Shelley Long is googled, the the pop-up that leads to your blog is entitled, "I Love Shelley Long!," which is a quote in one of your posts. I've been in love with film, TV, and the entertainment world since I lived in Honduras from 1970 to 1974. There was no TV there yet, but there were 2 tiny movie theaters in this small town (LaCeiba), and they each changed movies 3 times a week. I was a newly wed, and there was NOTHING else to do (well, except for…..) so we watched a lot of movies. When we moved back to the States, I fell in love with Cheers and have never found it's equal, so thats why I love your blog. My son played baseball from age 5 until he graduated from high school so I even love your baseball posts (and we lived in Kansas City when George Brett ALMOST broke 400). They posted his average on the front page of the Kansas City Star daily near the end of the season, and it was so exciting to see how many times it went over 400 for a day or two). I love your insider stories; I laughed all day over the post about the rag-tag radio station whose checks would frequently bounce so you had to rush to the bank when you got paid! Nine Years! You can do lots of re-posts when you start getting tired. Don't stop. Those of us outside your world get to see many more reasons why you deserve the respect and admiration we feel for you when we see the result of your work. P.S. I live in Northwest Florida, otherwise known as LA (Lower Alabama). Baby Boomer. Congrats on nine years of great stuff. I found your blog during the American Idol recap days. Ultimately, it's what started me on my similar daily writing exercise. Keep it going! I've been reading this blog now for, I don't know . . . 6 years? Honestly, I can't remember anymore. And I don't remember how I found it, either. I must be getting old. Usually, at some point I get tired of things and move on, but I find your posts to always be funny and refreshing, and I look forward to them every day. Keep 'em coming! I just discovered your blog. I love Bioshock! Ken, I'm a thirty-something music composer and producer here in L.A. I've been reading your blog for quite a few years. Even though our disciplines are different, I love reading about your creative process and thinking about the parallels. It's inspired me to work harder even when the jokes (akin to musical themes in my world) don't come that easily. I'm a voracious reader of all kinds of things -- music, business, politics, science -- and somehow I still enjoy reading your blog every single day. Thanks for the enlightenment and the entertainment. Congratulations, Ken. I've been reading since 2009 or longer. Found it through a link at a site about writing for movies and television. It's still astonishing you're still at it. The blog that had the link folded years ago. Guess you're still young at heart. That happens to Valentine's Day babies. Likes: anytime you take us inside the writing process and the tv/movie/stage business. Dislikes: rants. Fortunately, that isn't your basic nature. Disappointments: You have not written a book about writing comedy. You've praised others, such as Dan O'Shannon's "What Are You Laughing At?" However, reading your essays is the equivalent to studying comedy. Happy blog-iversary. I'm from south carolina by way of new york, and have been reading semi-daily for about four years now. I picked it up around the same time I started listening to the nerdiest writers podcast / day dreaming that I should ditch the PhD work for LA and days spent writing fiction. I'm 28, got the PhD, and now torture students with intro and environmental chemistry lectures…with a little writing on the side. I love hearing the positive behind the scenes stories and the technical advice. Your blog has turned my tv watching from passive pastime to a more active analysis of why certain camera angles are used, what the structure of the story is, and how casting really is the only thing you can't fix! Happy anniversary! I've been reading for most of the blog's life after following a link from Lance Mannion's blog. I'm 40, live in New Hampshire, and teach college not far from where Diane Chambers spent a summer hiatus getting over Sam. I'm a recovered theatre person so my favorite parts of the blog are your insights on showrunning, storytelling, and other behind-the-scenes tales. I think I've been reading you regularly, if not daily, for the last couple years. I can't recall how I found your blog - maybe from Nancy Nall or Alicublog. I love your sense of humor. Even more, I love your sense of comic timing - it's amazing how that comes through the writing, even when I'm not actually hearing your voice delivering the jokes! 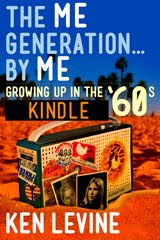 And I did buy your Me Generation book - it's on my Kindle. I'm 52, and I live in my home town, Cincinnati. I moved back here after living in DC for 10 years and then Chicago for 15. I've got a degree in theater directing, and I have really enjoyed your postings on the development of your play! Hi Ken. I did one of these the last time you asked the question, but since I don't feel like the same person anymore, I thought I'd answer again. I'm one of your Brit fans, 58 years old, and I came here via a link on Mark Evaniers blog (whatever happened to him?) after googling Rod Hull and Emu. I think I've been coming here daily for most of those 9 years (crikey where does the time go?). I'm sort of in the writing game - I write computer software - but I always remember not to be afraid to kill my babies. I'm a big fan of Cheers and Frasier, and I'm delighted to read more from a writer on those shows. I hope you're still writing the blog in another 9 years, and I hope I'm still reading it in 9 years, if my prostate cancer behaves. Keep on keeping on, as the man said. I said all this on a similar post a few years ago, but here goes. I'm in Portland. I found your blog 7 or 8 years ago via Evanier's blog. I try to comment only when I think I have something interesting to say, which means it's not that often. I'm a big fan of great sitcoms and baseball, so most of your posts are right in my wheelhouse. I've never been interested in reality shows and didn't enjoy those posts very much, but you seem to have lost interest in them as well. From: The Land Of 10,000 Grape Salads, according to the New York Times. Been reading: Six or seven years, but seems like only yesterday. Demographic: Persona nolonga exista. Was shocked when Scarborough Research called recently and didn't immediately hang up after The Big Reveal. Is 60+ radio's new 54? Like: Anything given the Levine treatment. Enjoyed the entire 'A Or B?' saga in spite of having had a thespian for a college roommate. Many, many thanks for continuing to dispense the best medicine, co-pay free. Been reading your blog faithfully for at least five years. I'm finally in my sixties; I'm from Chicago, been involved in comedy, writing, improv, and radio over the years. I was doing research for a piece on "lost" comedy shows, of which Almost Perfect was one of my favorites and that's how I came to your blog. I love reading it and hope you continue. Maybe I shouldn't say this, but I'd almost pay to read your blog. I've certainly learned more from you than from any writing class I took at college. I really like the variety you offer day to day, but tend to really love the behind-the-scenes workings of shows and such. Ken as an old beat comedy writer who has been reading since near the beginning I would like to thank you heaps for keeping up the great blog. I sure have learnt a hell of a lot about comedy and writing thanks to your much appreciated efforts. ps- Loving watching the early Cheers episodes being played nightly on MeTV. Sure beats any new comedy made These Days. To gottacook: Need an excuse to visit Los Angeles next year? The Nationals play a three-game set at Dodger Stadium in mid-August, and with luck, one of those games will be classic as the last one the Nats played here (that 14-inning emotional rollercoaster of a game on Sept. 3). Craig in Grand Rapids...easily been here 5 years now. Love all your inside show biz insight. Stuff fascinates me. I have 8 bookmarks at the top of my browser as daily reads. Your blog is one of them. It's an everyday read. Here's to you not getting sick of doing this for a long time. And if anything, do like Peanuts--rerun classic blogs til your splashy movie comes out. I'm a radio junkie/producer .I found your blog when I stumbled across your WLS story on youtube a month ago. Now your blog is part of my daily routine. Mucho has come from this discovery! I'm reading KHJ Inside Boss Radio, taking ANOTHER journey into "Cheers" reruns because you agree with me, "Cheers" felt like it was already established from the 1st episode, unheard of in TV! plus your undying love for "2 Broke Girls"...I'm totes for the waaaay too short season's of "You're The Worst & Married" on FX over the summer. Excited they were picked up for another round. Congrats on your play! Tina Delgado Is ALIVE, Alive! I've known a few bloggers who have burnt themselves out.....but I've also known some who decided to take the "daily" pressure off. They began blogging once every 2-3-4-5 days and are quite happy. They get to stay in touch with their readers because it has become no longer a chore. Howevah....if you do decide to pack it in sometime, PLEASE start a baseball/sports blog.....crank out a story a week....you'd have some fun....you wouldn't have to worry about all these "writer-types" buggin' you all the time :+) And you'd be making a few Eastern Ontarian west coast-sports-commentary-starved readers SERIOUSLY happy campers! And you know what Willie Nelson's band slogan is, dontcha? "We're not happy.....'til your not happy." I'm probably one of your younger and more distant readers - I'm 19 and live in Melbourne, Australia. I've just finished my first year doing a Business degree. I visited Boston last year and had a ginger ale at the Cheers bar (cos the drinking age is 21!) and then became a major fan of the show. I think I Googled "Cheers trivia" at some stage and I was led to your blog. Anyway, I've thoroughly enjoyed reading it for the past few months. Thank you so much for sharing your experiences and insights with us (and thanks for answering a few of my Friday questions!). Found you through Evanier's blog probably three years ago and look forward to your daily entries. I am so pleased that you are willing to share all this stuff with us. Live in the Portland, Oregon metro area (since the sixties). Stops previously included Northampton MA, Milford DE, Akron OH and Duluth MN. Missed my fifteen minutes of fame when I choose not to be interviewed in Terry Zwigoff's film CRUMB. Worked in the advertising and large format printing business with previous professional stops as a sign painter and steelworker. Collector of popular culture that includes radio, teevee, movies, comics, books, toys, wind-up phonographs and just about anything else that looks interesting. Was a season ticket holder of the Portland Trail Blazers for over twenty years. Went to the first Portland Timbers game in 1975 and am still an avivd fan today! "Available here" link!!!! Funniest thing i've read all day. Hell, you're such a good and witty writer that I even enjoy your blog when you write about things I have little interest in myself. I do not want to offend you so I won't be specific. Ken...been reading the blog for about 8 years. I'm in radio and have dabbled a little in film/TV. I'm age 45. I enjoy your radio related posts and you general opinions of the moment or topics of the day. I understand this week KHJ has changed formats, from Spanish language to Catholic-related talk (in English). So I suppose Tina Delgado is now saying her Rosary. I'll hit 10 years blogging in May 2015. I find your regularity quite comforting. I'm out of many target demographics now, closing in on 50, but who cares? I just have fun reading about writing, the creative process, 70s radio, sportscasting, how TV shows work and your views on television. Heck, I just discovered you, Ken. You can't stop now! 0 IdeRtenI don't recall how I happened onto your blog, but I certainly knew your name from television and welcomed the opportunity to read more of your insightful and witty reading. I've yet to be disappointed. I imagine that Ken finds regularity quite comforting, too. I don't rightly remember how I found your blog, but I've been checking in 2-3 times a week for a few years now. I'm 54 yrs old, and live in a small town in Georgia. As a young man in the early '80s, I sought refuge from the cruel, Reaganesque real world by tuning into Cheers and Hill Street Blues, a wonderful one-two punch in the vast wasteland of network television. I recall reading of the terrific reviews, but terrible ratings, for both, and hoping against hope that both shows would be allowed some time to build an audience. Thankfully, Brandon Tartikoff was a wise and decent man! I've always preferred the character-driven comedy of shows like Cheers, rather than joke after joke after joke. And of course it takes a little time to allow characters to develop. So, thanks for hanging in there and pumping out the great writing on Cheers, which obviously paid off for all involved! Just turned 50. Thanks for reminding me. Pomerantz sent me over. Really enjoy the blog on a daily basis. So, thanks for giving me a nice little semi-private island of joy each day when I get home from the grind. Please continue this. Its a great blog with wonderful insight and great stories. I am from Long Island NY. just stumbled upon it one day a few years ago while browsing. I guess I categorise myself as a new reader, since I stumbled across you wonderful blog about a month ago while chasing MASH links down an internet rabbit hole. I enjoy your insights and humour enormously. I finally thought I'd comment after I saw that your blog is nine years old and realised with pride/horror so was my own. I've been reading your blog daily for the past 5 years. I live in Asheville, NC but I'm from the Valley (Reseda High, class of '83). My favorite topics are the insider info on actors and sets, and especially the writing process. And WINGS is one of my all-time favorite shows, so there's that. I read "It's Gone..."years ago and remembered a few years ago and wondered whatever happened to that guy. Been reading ever since. Reading from Dublin, Ireland for several years now. Can't remember exactly how I got here, but I have a vague recollection that it has something to do with Rob Long, whose podcast I've been listening to for several years too. I've answered this a few times before but am glad for the opportunity to thank you again for your blog - which I've enjoyed for over four years, having followed your link from Huffington Post. Robert, 53, living in Los Angeles, having worked mostly in publishing as a writer and editor. Before L.A I lived in Santa Fe, NYC, Fairbanks, AK, and Virginia. I'm too tired to move again. You manage to make what you write about funny and/or interesting and thought-provoking - which must be no easy task, especially on a daily basis - so congratulations on 9 years! Yes - I've worked as an editor, and should have placed a period after the A in L.A. Thanks for doing this...it has been very interesting and informative. Not sure how I found the blog about five years ago. I am 57 yo, reading you in Portland Maine. I can think of no complaints, I enjoy it all. must've been evainer's site that brought me here. so i foolishly lash out with snarky comments. Late to the party, but I just wanted to say thanks for writing the blog. As an newbie writer, your insights are informative and funny. Keep up the great work! Oh, and I'm from Perth, Western Australia... but I'll be in LA next month! good stuff on your blog and really enjoy reading it. I catch myself laughing out loud. The bonus may be your writing of baseball, also good stuff. It must be going on three years now being a consistent reader of your blog and to be honest I cannot recall how I found it. I found you earlier this summer while listening to an audiobook by Garry Marshall in which he talked about Jerry Belson, his one-time partner. I Googled (how that has become a verb for internet search must drive their copyright people crazy much like it did years ago for Kleenex and Xerox) to learn more about Jerry and came across a tribute you wrote about him and been faithfully following you ever since. I'm in the 50-60 demo and live in the Philly burbs. I do lot of corporate communications work, but have written two movie scripts (unsold) and wanted to try my hand at sitcom writing to see if it was something I could do it. I know I can certainly critique the hell out of a show like Modern Family, which I still don't find funny. I like to read your insights on what happens in the writer's room, but when you drift into sports or pop culture or even travelogue, it's all good. I also enjoy when you post Natalie Wood's photo (I've read three biographies on her). One of the highlights of my day is reading your blog (insert joke here about how mundane a life I must live) and appreciate your dedication in doing it. Keep up the good work. Really enjoy it. I am a little late with this response. I tend to binge read your posts over the weekend. A friend forwarded one of your posts (probably M*A*S*H* ) to me 4 or 5 years ago, and I have been reading since then. This may be my second or third reply in that time. As some others have said, TV fan growing up in the late 60s and 70s; don't watch many of the new shows, other than Tivoed Craig Ferguson and Letterman regularly.... I do check in on the other late night shows from time to time. Love the baseball posts, and the misspent youth radio stories. I think I've been reading for 3 or 4 years. A Catholic blogger I was reading linked to you. As a fan of many of your shows and insider views of television/movie production, I find your blog is a nice break from the Catholic theology and parenting blogs I frequent. I'm in my late 30's. I'm originally from Kentucky, but I've lived outside of Chicago for over a decade. I really like your anecdotes from the shows you've done, explanations of how shows are/were made, and the insider knowledge of the business and its players rather than the tabloid and agent-polished versions we normally get. I keep pointing people to your Cosby post in light of the recent allegations. Found you when looking for a Harry Morgan obituary. Spent the better part of a month of evenings / late nights reading the back issues. Read nearly every day by 10am. 50ish, Northeast Ohio. I like to read about the nuts and bolts of the business. That and the creative process - not being very creative, I find it fascinating. (I also like to look at pictures of back lots, etc, too, and read the trivia on IMDB for anything I watch.) I don't need politics from either side, neither one discusses, they both just talk over the other, and I have other sites I go to for that. I love the FQ. I love the fact that you were involved in some of my favorite shows ever. I don't understand all the hate for Lorre shows, but I certainly understand the hate for 2BG. I think it is telling that the promos for this year had them on a pole, and not showing anything of the show. You gotta know what people are watching for. The plot, yeah that's it. Congrats...and a big thank you! I love your blog. I am from Alabama. I moved to NYC for college, and I lived in Los Angeles for most of my adulthood. I'm in my thirties, and I found your site because a friend recommended it to me. I've been a "Cheers" fan since discovering it in reruns when I was 12, which is the same time that I also saw and loved Mannequin 2. I'm a big fan of your writing, and I really do appreciate your posts. My favorite posts are Cheers-related, but that's hard to say because I really enjoy reading all of your work. I began reading your blog around three years ago, after following a link from Mark Evanier on his 'Newsfromme' site. I'm 55 years old, live in England and I really appreciate well written comedy & drama. I enjoy your reviews, travelogues and general tales of life. My son is studying to become a director in film/television and I have referred many of your articles to him. It is very interesting to gain an insight to working in the entertainment industry from someone like yourself who has such great experience. Please continue the good work writing your blog it is appreciated. I've been reading only a week or so. This blog I mean, not in general. I came here following a link from Mark Evanier. I'm 57, from the US, but living in Thailand. It's a bit soon for me to say what I like most, Of course the writing is excellent. The only thing I don't like is the incomplete text in the feed, though I understand why some do it. As this is a reply to a post of a few weeks ago perhaps you'll never see it, but thanks for writing and posting. I look forward to reading it for some time to come. I'm late but thought I'd still answer. I'm 33, from Mississippi and have lived in NYC for 9 years. I've been reading your blog for 5 years. I can't remember specifically, but I'm sure I found your site by a post being linked on another site I read.